Engages students and forces them to think about content. Creates a positive classroom atmosphere where student opinion is valued. Having a good topic is crucial to making the debate work. Any topic upon which there is a reasonable difference of opinion and that students should know something about can be used. The following examples will help. Should student dress codes be abolished? Should students be allowed to use cellphones and other electronic devices during school? Should high school athletes be subjected to random drug testing? Block scheduling or traditional seven-period days? Is public shame an appropriate mode of punishment? How much should homework factor in a student's grade? Is teasing bullying or just kids being kids? Who is most responsible for the deaths of Romeo and Juliet? In Of Mice and Men is George justified in shooting Lennie? To be or not to be? Is that really the question? Should John Proctor in The Crucible have confessed to being a witch? Who's more responsible for the havoc caused by Frankenstein's monster, the monster or his creator? Is Odysseus a good leader? Is the assassination of Julius Caesar justified? Is the annihilation of the Buggers justified in Ender's Game? Should governments be involved in stem cell research? Is it morally acceptable to experiment on animals? Should law enforcement create a DNA database for criminals? Should performance enhancing drugs be banned in sports? Should the genetic engineering of animals be disallowed? Should weapons of mass destruction be eliminated voluntarily? Should government take over the health care system? Should Congress persons have term limits? Should education policy be dictated by the federal government? Should citizens of the United States that have declared war on the United States forfeit their Constitutional rights? Who would win a fight between Batman and Aquaman? What's a better color, blue or red? Would you prefer a 100-pound weight dropped on your face or have an appendage amputated? Regardless of how good your topics are, if debate guidelines are not explained clearly, it won't matter. 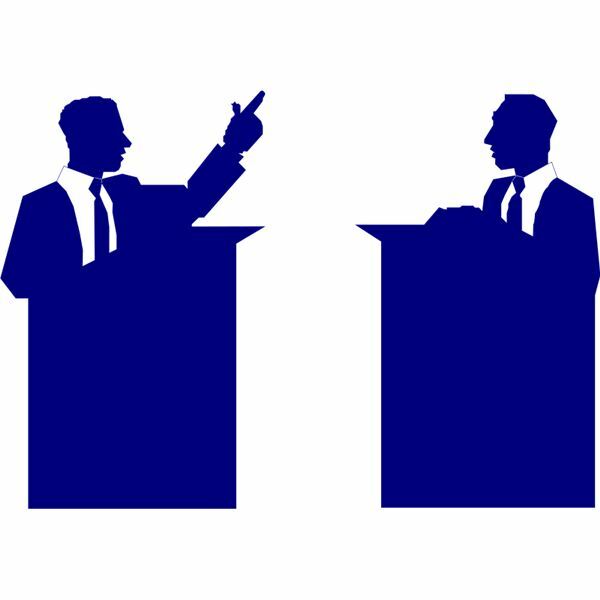 It is important that students have enough knowledge about the topic before engaging in a debate. Here are the guidelines for a two-team class debate. The teacher is the facilitator only. No matter how badly you wish to participate and no matter how strongly you feel toward a particular topic, do not participate in the debate. The teacher should explain debate procedures and clarify misunderstandings. Here are the suggested rules. 1. Choose a debate topic and instruct students to divide themselves into two teams. Students favoring one side of the topic will sit on one side of the room. Those supporting the other side should sit on the other side of the room. Those not sure should sit in the middle row. If the division is too lopsided then choose a new topic. 2. Instruct students that they can only speak when called on. Only one person may speak at a time. Students who wish to participate must raise their hand. The teacher reserves the right to call on students at random. 3. Call on a student from the minority side to make an opening statement. He or she should give at least one reason for choosing a particular side. 4. Call on someone from the opposing side to refute the argument put forth. Stay focused on the specific argument made to open the debate. 5. Once the original argument is finished, call on the majority side to make a statement. Discuss this specific issue until it is satisfactorily resolved. 6. After each side has presented one argument and both have been discussed satisfactorily, allow participants to switch sides or for those in the middle to choose a side. 7. Force side switchers to state the reason why they switched. 8. Continue the debate in the same manner until the topic has been exhausted or class ends. 9. Follow the debate with a writing assignment forcing each student to clearly explain his or her position. The key to the whole class debate is staying focused and addressing specific reasons within the debate. This builds student analytical skills and critical thinking. If you have any more tips or debate topics, please feel free to share and comment.